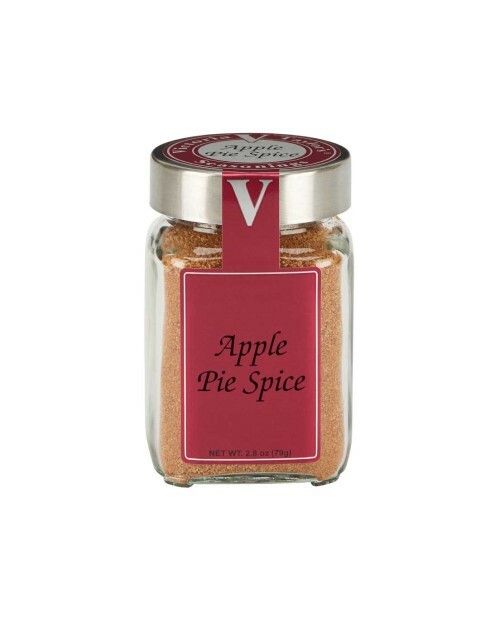 Victoria Gourmet Apple Pie Spice provides all the wonderful flavor and aroma to apple pie and apple crisp by combining the warmth of cinnamon, nutmeg and ginger with the bright and pungent flavors of lemon and ginger. This is a salt free product. Ingredients: Brown sugar, mixed spices (cinnamon, nutmeg, ginger, clove), lemon peel, lemon oil. I received your seasonings in a gift basket, loved them, ordered the sampler which had the Tuscan seasoning, the Pie Spice seasoning, the Mediterranean seasoning and the Holiday seasoning. Oh my gosh, I just love them, and am soon ordering more, and am going to try the Dipping Spices. Thanks so much for the recipes too!